Jenna is using Smore newsletters to spread the word online. Everything you need to know about the wetlands. 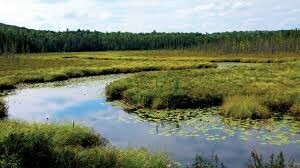 A wetland is a land consisting of marshes or swamps; saturated land. 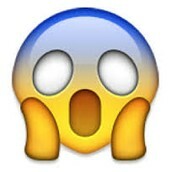 It's soil is like a sponge and it is a habitat to a variety of animals. Lake Charlotte is a wetland. It is where the Trinity River empties. 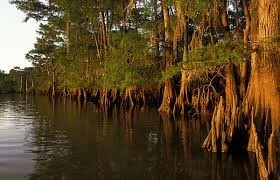 The wetland consists of many Cypress trees as well as a variety of animals including birds, fish, snakes, and beavers. Wetlands are important to the environment because they serve as a sponge and control floods. Because of the spongy ground in the wetlands, the soil absorbs the water flooding the land and helps with the flooding problem. Wetlands also serve as a filter cleaning water as it flows through it. The wetlands are also a "nursery" to many different animals. Threats to the wetlands include invasive species, human pollution, and erosion.